The excitement of Roland Garros is here. All of us here at Tennis Express are very excited. With Serena Williams out, and the recent announcement that Sharapova did not receive the wild card she was hoping for, this year’s French Open is very interesting. Per usual, the professional women of tennis are going to be showcasing more than just their tennis skills. Here is what some of the top ladies are wearing on the clay. Venus Williams is wearing familiar styles from her line, Eleven, but with the new diamond print design and Royal blue color. On top you’ll be seeing her wear the Raceday Tank in diamond print, the Trapeze Tank in Royal with the diamond print design on the lines that run across the front, and the ISO Top in royal. All three tops are sleeveless so they are going to show off Venus’ toned arms. To match on bottom, Venus is wearing the Flutter Skort in both white and diamond print and the Spin Skirt in diamond print with a blue band that runs around the top. For a one-piece, Venus is wearing the elegant Clarity Dress. To complete her look, Venus has the diamond print design on her Finish Line Jacket, Visor, and Headband. On her feet, Venus is wearing the White Nike Zoom Vapor 9.5 Tour tennis shoe. Johanna Konta sported a pink and Indigo Blue theme on her Asics apparel in Paris. She played in the Diva Pink Club Tennis Dress. For the cooler Parisian nights, she put on the Indigo Blue Athlete GPX Jacket. To complete this sporty look yourself, you can pair these with the Indigo Blue Performance Visor, White Double Wide Wristbands, and Tennis Ped Socks. On court she wore the Asics Gel-Resolution 7 Tennis Shoes. 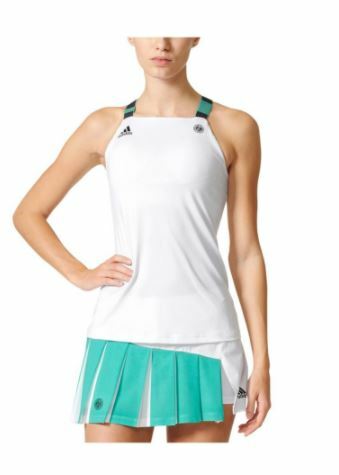 Angelique Kerber stood out in her apparel from the Adidas Roland Garros Collection. She wore the coordinating Core Green and White Roland Garros Tennis Tank and Roland Garros Tennis Skirt. To cover up, she is wearing the Night Gray Roland Garros On Clay Daybreaker Tennis Hoodie. Her accessories included the Roland Garros Wristbands, Core Green Ten Tieband, and White Roland Garros Visor. 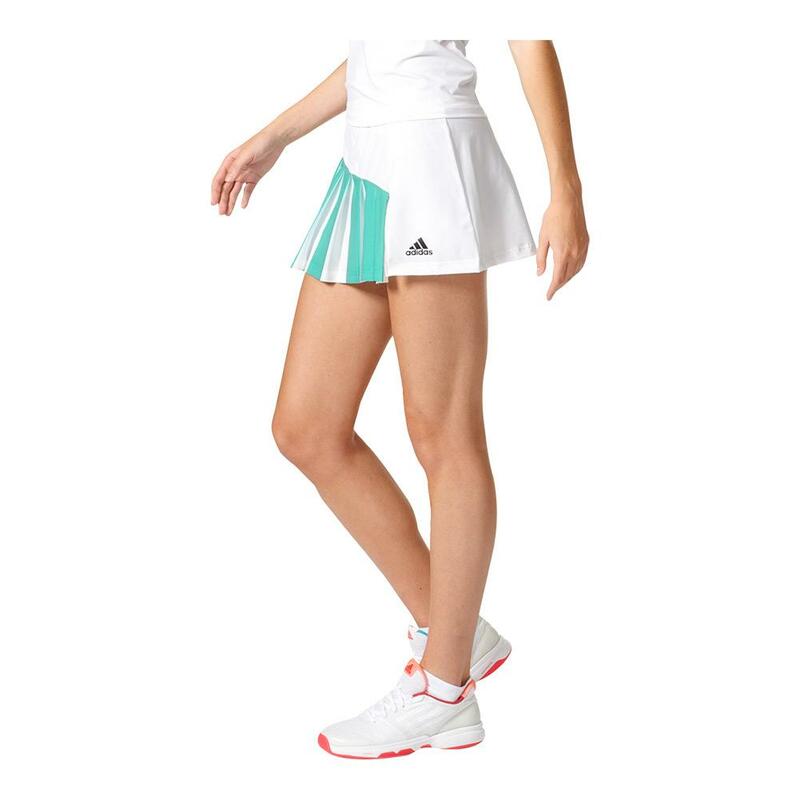 Kerber is wearing the Adidas Roland Garros Adizero Ubersonic 2 specifically designed for the clay surface. Caroline Wozniacki appears in Paris in the stylish white and gray Stella Mccartney Barricade Tennis Dress 2. This dress has a lot of flow to it, so looks amazing as she slides to shots on the clay. The White Stella Mccartney Barricade Tennis Jacket and White Stella Mccartney Barricade Tennis Pant will keep her warm and comfortable off the court or while she warms up. In addition, Wozniacki is wearing the matching black Tennis Visor, white Socks, and white Stella Mccartney Tennis Wristband. For shoes, she is wearing the Stella Mccartney Barricade Boost 2017 in white and universe. Karolína Plíšková is in classic Fila styles that feature white, navy, and lime colors. On top, Plíšková is wearing the Heritage Sleeveless Polo. 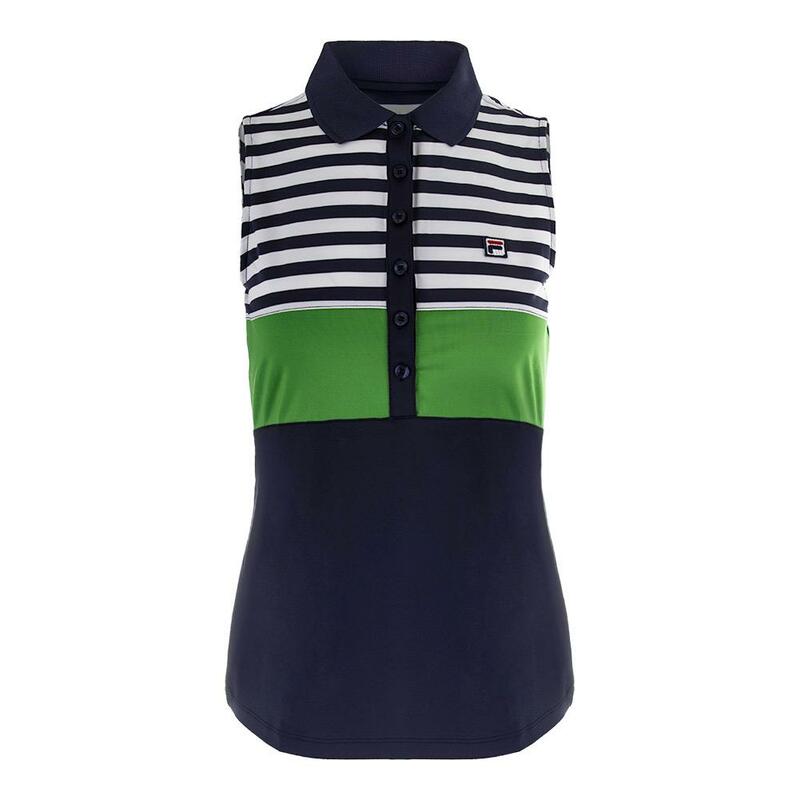 This polo is separated into 3 different sections starting with the small white line design on top, solid lime color in the middle, and solid navy color on the bottom. For cooler weather, Plíšková wears the navy and white striped Heritage ¾ Sleeve Top and the Heritage Full Zip Jacket. 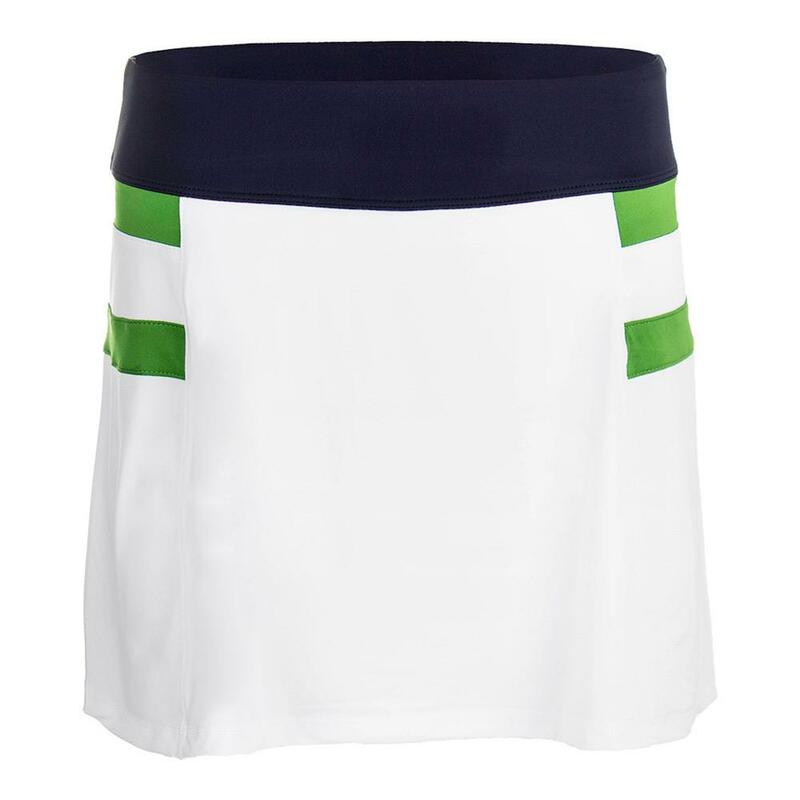 Her go-to bottom piece is the Navy Heritage Skort with the two white strips on each side and the lime waistband. For more coverage, she wears the navy Heritage Caprior the white and navy Heritage Pant. The white, navy and lime Wristband and Heritage Visor accessories complete her look. Madison Keys is playing in her Nike apparel. The paramount blue Nike Dry Tank and Nike Spin Skirt a will pop when they contrast against the red clay. Keys is kicking the clay wearing the Nike Zoom Vapor 9.5 Tour as shoes. The anticipation grows to see who will take the titles at Roland Garros 2017! Shop for your favorite pro’s apparel and more at Tennis Express.com!